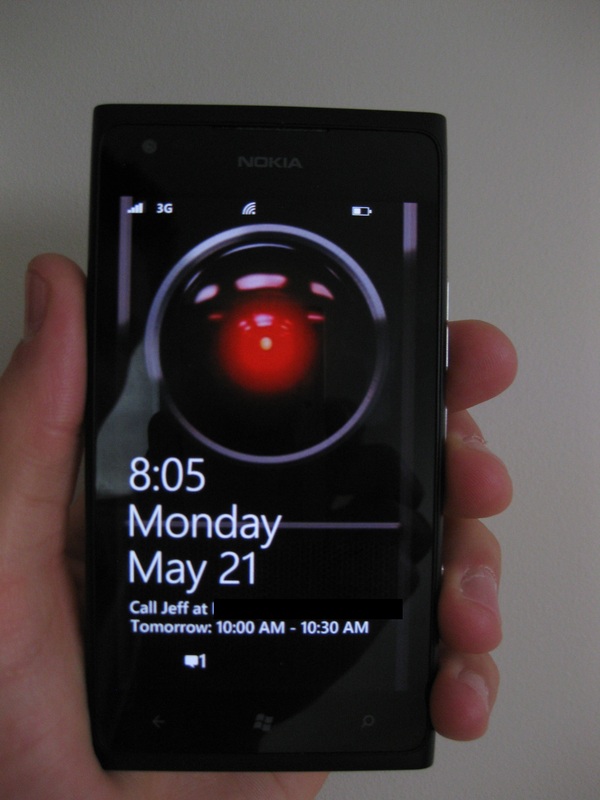 So there has been news that Windows Phone 7.8 would be made available today at a certain time. When the time hit, Zune reported no updates… I decided to give the “Disconnected Internet” trick a shot. and BAM an update is available! 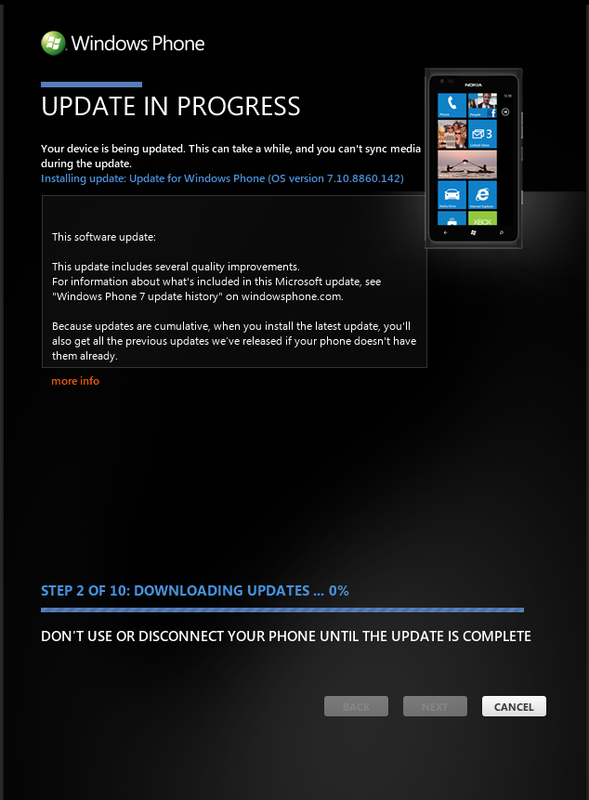 Right now I’m going to OS Version 7.10.8779.8 but I’m assuming this is a prerequisite for Windows Phone 7.8. 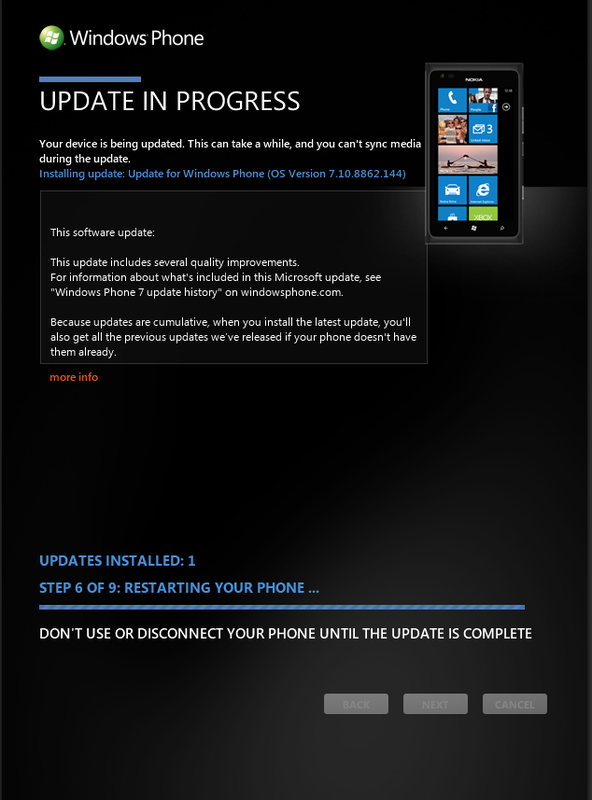 PLEASE NOTE: NEVER UN PLUG YOUR PHONE FROM THE COMPUTER WHEN THE UPDATE IS ACTUALLY INSTALLING ON THE PHONE ITSELF. THIS CAN DAMAGE YOUR PHONE. 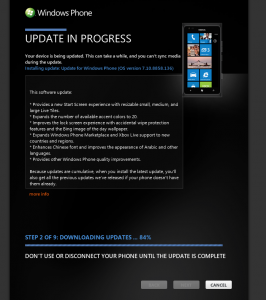 1) Turn off cellular data, and Wifi on your Lumia 900. 2) Connect to Zune, check for updates. It won’t detect one. 3) Change to a different tab other than update in the settings. 4) Disconnect phone, then reconnect it. 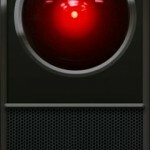 5) Now, get ready. You will need to hit the “Update” button and unplug the network cable from your computer exactly 2 seconds after hitting this button. It will present an update is available! 6) Reconnect internet, then hit Update! 8) Repeat a few times, I’ll post how many updates there are below! You will need to perform this a bunch of times to make sure that all the prerequisite updates and 7.8 itself gets installed! I’m updating this post as I’m performing this! If you don’t have luck, keep trying! I think the update servers are getting hammered pretty hard, so this may have an effect on plugging the internet at the right time! I’ve had to perform the trick over 10 times to get these 3 updates! Keep trying if it doesn’t work. This app is called: Brother iPrint&Scan and it’s the coolest thing ever. It’s designed to interact with select Brother multifunction centers and your Windows Phone. Right away after installing it, I was able to scan and print to and from my Brother MFC-9840CDW multifunction center. Unfortunately you can’t save or print PDFs, you’re just limited to scanning to your picture albums (quality is great), and printing from pictures or camera (quality was AWESOME printing). Good Job Brother! 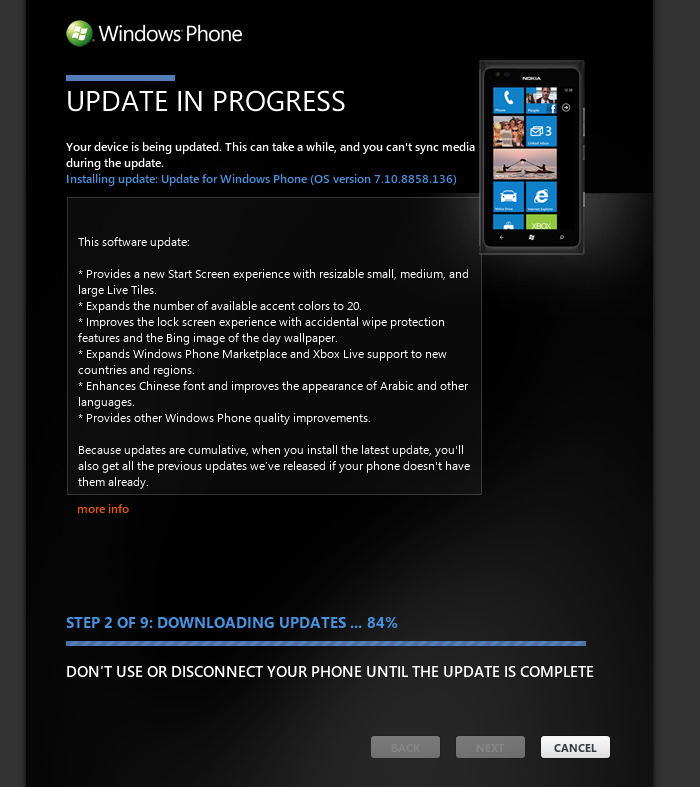 It’s always nice to see companies embracing the future (and when I say future, I’m referring to Windows Phone 7). 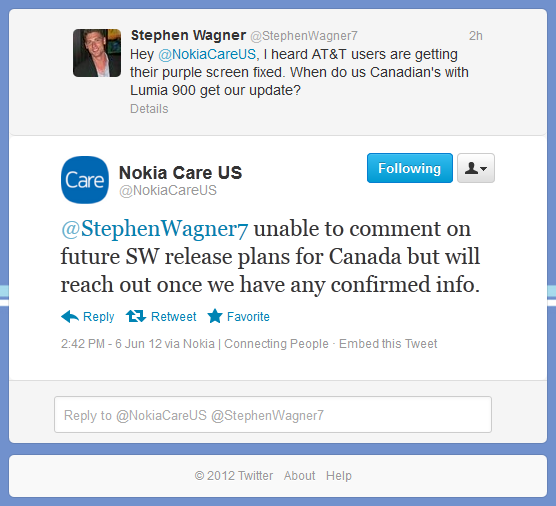 Looks like us Canada folk on Rogers will have to wait a while longer to get our Purple screen issue fixed! UPDATE: Earlier that day, I tweeted Rogers, and they said that the update has nothing to do with them and it’s all in Nokia’s ballpark. Then today, I read that the update has been made available to Rogers, however they haven’t approved it. Love the conflicting information boys! 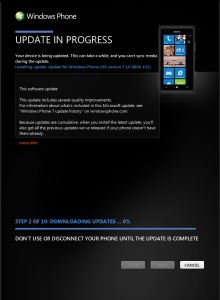 Add an extra zero to Nokia Lumia 900, and what do you get? 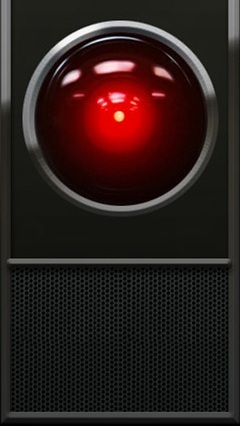 The HAL 9000! 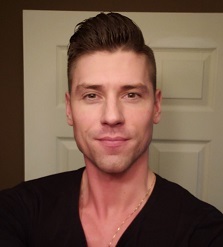 BAM! Since I’ve been using Windows Phone since it’s release, I’ve heard of something called “Local Scout” that a lot of American’s talk about, but yet it’s not on my Rogers Windows Phone. I’ve tried searching for the app, info, etc… only to find that it’s not available in Canada. 1) Go to “Settings”, then “Region+Language”. 2) At the very bottom (and you only need to change this one setting), change “Browse & search language” to “English (United States). 3) Get out of settings, go to your home screen with your Tiles and hit the “Bing” button, you should now notice 4 buttons at the bottom, one of the new ones being “Local Scout”. And P.S. doing this also enables scanning bar codes and books. Interesting to scan a UPC code and find info on the product!